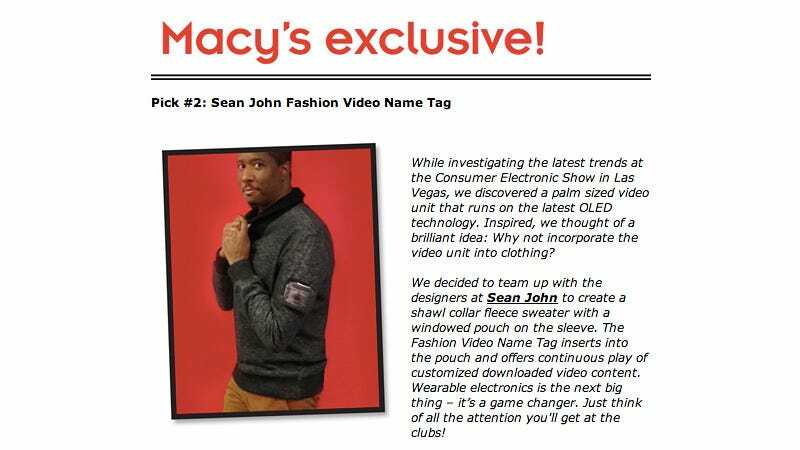 If you thought you'd seen the worst of tacky holiday sweaters, Macy's and Sean John want you to know you ain't seen nothing yet. The two have teamed up to create this monstrosity, which by itself isn't actually so terrible. Until you notice the embedded OLED display on the sleeve letting you play videos or run slideshows.